The rooms are big and spacious, with rooms that can cater from just two of you, right up to groups of 6 in the family suites. 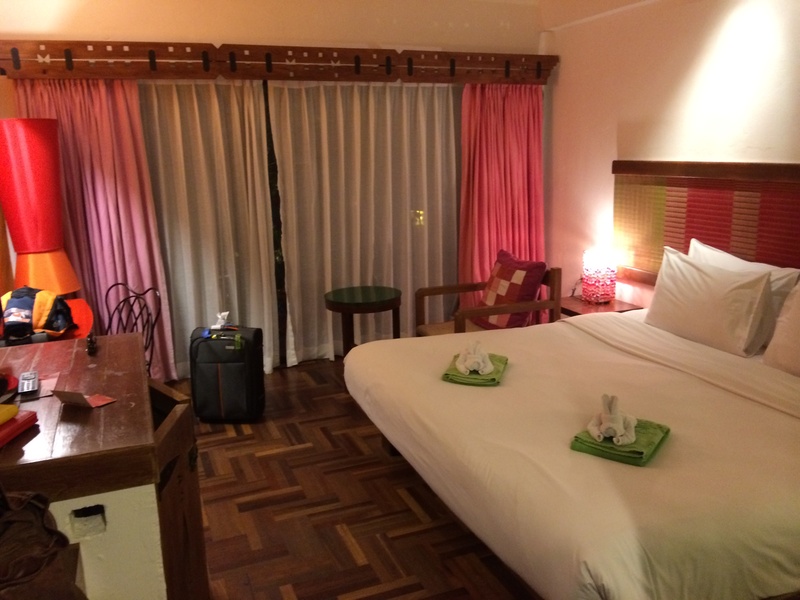 Super comfy beds, pretty decently sized bathrooms, with toiletries re-filled daily. Also, two bottles of water are replaced, free of charge, per room per day. The rooms themselves have pretty good amenities – bar fridge, hair dryer, TV, air conditioning, safe deposit box, your own private balcony, pool towels, telephone, and room service! Wifi is available, however costs a little extra. Connection isn’t super strong in rooms, but they do have “library” type reading areas near servers where connection is stronger. There are three dining areas: a breakfast room, a bar/restaurant dinner area right out the front where non-guests are also welcomed, and a bar/restaurant terrace overlooking both the pool and beach (pictures below). As with most resorts around the world, decent food at inflated prices. Definitely worth including breaky, but I’d venture elsewhere for lunch and dinner! There’s also a convenience store/supermarket across the street for things like bottled water at reasonable prices. One of the biggest pros of staying here is the location – it really can’t be beaten! It’s central enough that it’s only a very short walk to the Chaweng Night Market, lots of restaurants, Ark Bar (one of my favourite bars in the whole world!) and just about everything else, the pool backs onto the beach, supermarket across the road, it’s on the main drag so it’s always easy to get a tuk tuk, taxi or complimentary shuttle bus to where ever you’d like to go… it’s great! 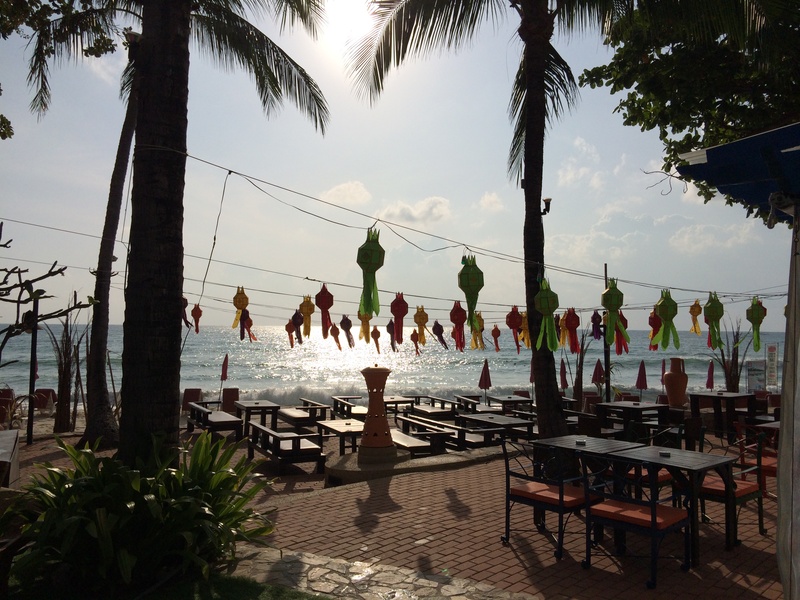 The other thing I loved about the Baan Samui is that there seems to be a younger crowd usually staying there – not a heap of families with young children, so you can get a bit more peace and quiet than some of those big family resorts. Average age of visitors I’d estimate around your late teens to 30s, but there were certainly older couples staying there too. And the best part – very reasonable pricing for the quality of the place! Found prices starting from around $125 per night in January, which is peak season!